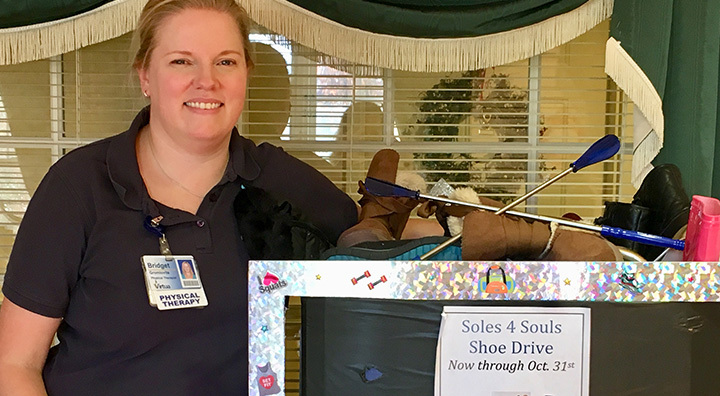 Moorestown, NJ — Last month, Virtua and Brandywine Living at Moorestown Estates combined efforts to collect new and gently used shoes for Soles 4 Souls, a global non-profit organization. 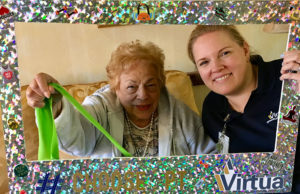 Bridget Gromlovitz, a Virtua Physical Therapist who works with residents at Brandywine Living, organized the shoe drive. 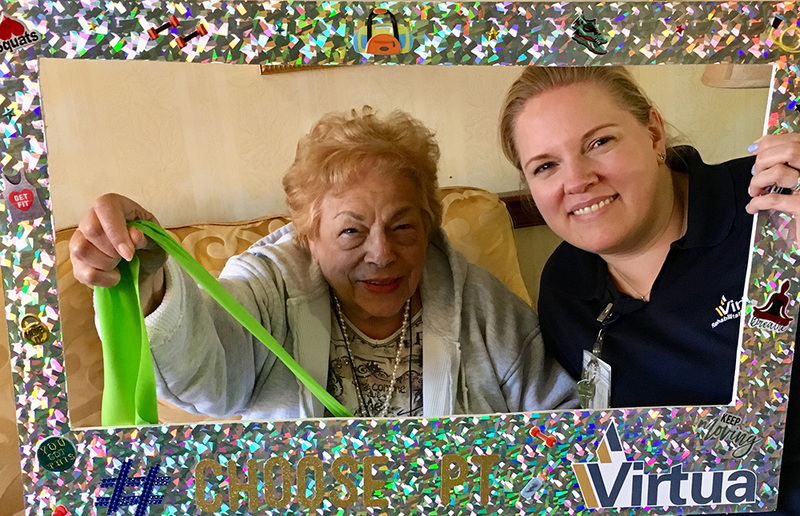 Additionally, Bridget offered Brandywine Living residents shoe safety screenings and education about the benefits of physical therapy. “Bridget is just awesome! She’s a great physical therapist who is always coming up with creative ways to connect with all the residents, even those who don’t currently need her services. She is very present in our community and, over time, has come to know all the residents’ names. The shoe safety screening was an awesome idea, the residents really responded to it, and the Soles 4 Souls shoe drive was the perfect initiative to pair with that program. 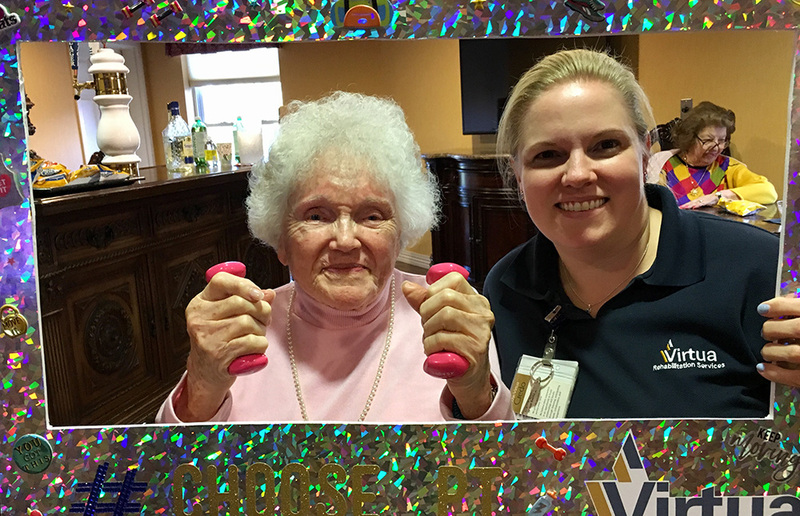 I was happy to help Bridget make it all happen,” commented Rebecca Lentine, Escapades Producer at Brandywine Living at Moorestown Estates. 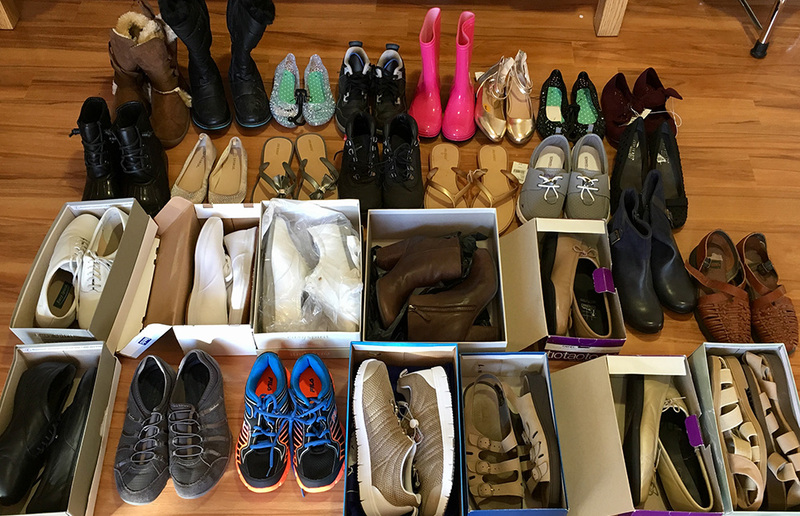 The thirty pairs of shoes collected from the drive will benefit those struggling with poverty through Soles 4 Souls. Its mission disrupts the cycle of poverty by providing short-term relief and long-term solutions by creating sustainable employment.